"Lauren Gray (AKA Lauren Louisa) is an artist and freelance graphic designer originally from the Sunshine Coast, who now resides in Melbourne, Australia. Using inspiration from all things monochrome, minimal and natural, she has created her first collection along these lines in a real, yet abstract and bold way. While Lauren has been creating art professionally for nearly a decade, 2014 has seen her design her first-ever collection of paintings available to the public in the form of limited run prints with many more projects in the pipeline. In this first collection she showcases three categories of plants: Large Leaf, Cactus and Fruit. As she has always had a keen eye for the natural world and states “Because without plants – what would we be? This natural world around us is constantly inspiring me”. 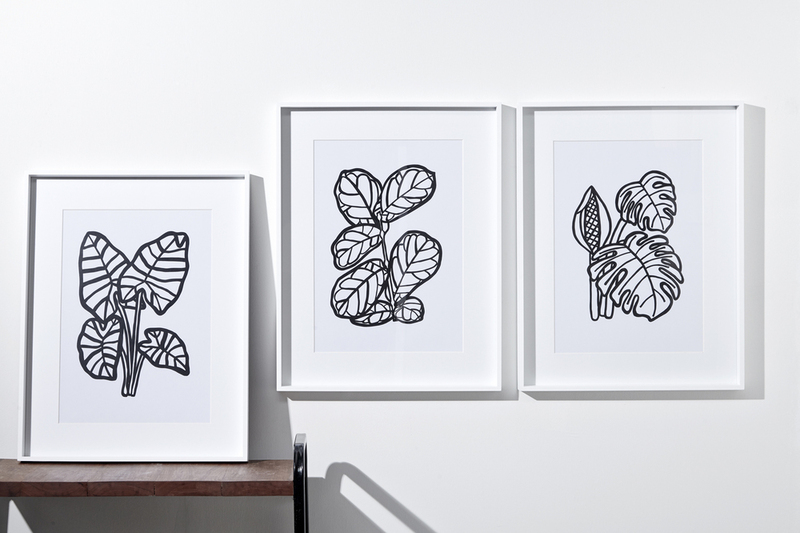 In recent months Lauren has turned her paintings from all three series: Fruit Series, Cactus Series and the Large Leaf Series, into both A4 digital prints and A5 screen prints, available in her newly launched, simplistically styled ONLINE STORE. I've curiously watched Lauren go from creating the Cactus Series, slowly sharing them on instagram with such a positive response... to creating both the Fruit Series and Large Leaf Series, subsequently gaining a strong following, and opening her online store - a wonderful journey to witness. I'm a firm believer in nurturing talent, encouraging creativity and supporting local artists and artisans in both work and life, it's the ultimate symbiotic relationship.